Acne forms when pores or hair follicles become clogged with dead skin and oil, so it is normal if acne formed in any other parts of your body aside of face. 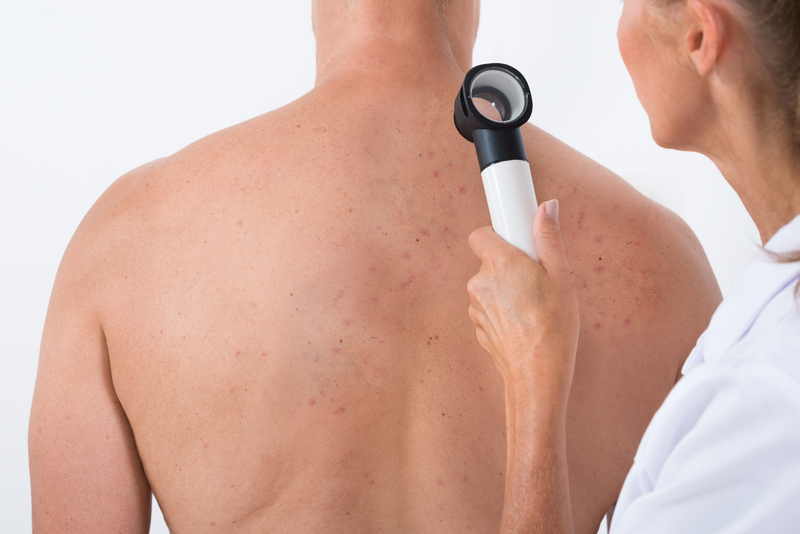 Other than the face, acne usually happens on the neck, shoulders, upper arms, and even on the back. The latest one is probably one of the most common areas of the body where acne appears. Back acnes, or bacnes, are brought by the same elements that trigger facial acnes. Oil, dead skin, and small particles like dust can be caught inside the follicle or pore and make a blockage. If microbes or other bacteria attack, this blockage turns into a pimple. The risk of getting of back acne doubles up when the weather is humid, or during the summer, as your body produces more oil and you sweat more. Although you can cover the acnes on your back with clothes, acnes are still acnes and they’re really uncomfortable. However, although the symptoms and causes of back acnes (or bacnes) are similar to facial acnes, the treatment of it does differ. Getting rid of them is also quite a challenge as these zits are hard-to-reach. Using the right body wash in the shower is one of the keys to targeting acne attacks. Choose a body cleanser that is not too harsh to your skin. A hydrating body cleanser with Vitamin A and antioxidants is good as it can encourage cell turnover. Your body also needs exfoliation. You can simply use exfoliating body cloth (this can be found in cosmetics shops) with a gentle shower gel to remove dried skin cells and reduce clogged pores. It’s advised to not use body scrubs on the back, as they may contain oils that could worsen the breakouts, especially if your skin is sensitive and prone to acne. Panthenol is a common ingredient in hair conditioner, but if you want to prevent or treat bacnes, you should avoid using conditioner containing one. Even if you can’t find one, after rinsing out your hair panthenol-contained conditioner in the shower, try putting your hour up in a loose clip, then use your shower gel to wash your back. This will help remove any conditioner left on your back and will also reduce oil residue left behind. The acidic property of lemons can be extremely helpful in treating skin break out, including on the back. Lemon will clean out the clogs and solidify the sebum on the surface of the skin. Simply rub a cut of lemon on the affected area (you may need someone to help you apply the lemon juice), and let sit for a couple of hours before washing with water. Baking soda can neutralize the pH level of skin as well as exfoliate the skin. Simply apply a paste of 4 teaspoon of baking soda and water on the affected area and wash after a few minutes. According to the Riverside Health System, tea tree oil can be as effective as creams that have 5 percent of benzoyl peroxide, the effective agent to fight acnes. You can mix ¼ cup of tea tree oil with ¼ cup of water and apply the mixture on the affected skin regularly (twice daily is recommended) until bacnes are gone. Mixing honey with oats might help you to get rid of bacnes. The oats clean off the inordinate oil and dead skin cells, while the antibacterial agents in honey kill off the microbes and the calming properties kill the redness and swelling. To make honey paste, simply cook oats with enough water. Add two tablespoons of honey to the cooked oatmeal and cool it off. If the mixture is too dry, you may add more honey. Apply the paste to the affected area and leave it for 20 minutes before washing off with water. You can apply this mixture once a day. We don’t need to ask the benefits of aloe vera for your skin. You can get rid of bacne with aloe vera by taking out the fresh aloe vera gel and apply to your bacnes. Let dry for a few minutes, and you can repeat this up to three times each day.